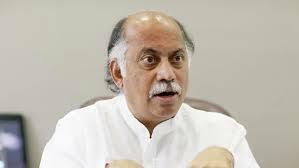 Former union minister and veteran Congress leader, Gurudas Kamat died in New Delhi, after suffering a heart attack. He was 63. Gurudas Kamat was a Member of the Parliament for the Mumbai North West constituency of Maharashtra in 2009 and Mumbai North East constituency of Maharashtra in 1984, 1991, 1998 and 2004.